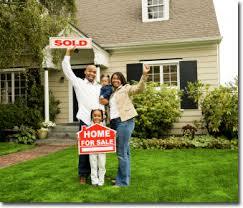 1) Call your lender for advice about making your mortgage payment during the month of closing. NOTE: If you make a payment after the payoff amount is determined, the closing/escrow statement will have to be changed, and your lender may charge a fee for updating the documents to reflect the new payout amount. 3) You should be aware that it is common practice to add several days interest to the amount due as of settlement on your mortgage payoff. Your lender considers the actual payout date to be the day the funds are received. If you have a local lender, it may be possible to hand carry the payoff check to save any extra charges for daily interest. Check with your title company about their policy. 4) Lien waivers must be provided at closing for all work done to the property in the previous six months. A lien waiver is a standard form provided by contractors or other workman verifying that they have been paid in full and cannot place a mechanics lien against the property. 6) Water and Sewer Bills (if applicable) will be prorated on the closing statement. If you have a bill coming due near the date of settlement, please inform your closing/escrow agent as to whether or not you have paid it. If you will be unable to attend the closing/escrow, all documents may be pre-signed. 8) Some lending institutions have a policy of not releasing real estate tax escrows until after a loan is paid off in full. This may cause a temporary cash flow problem if all your proceeds of sale are needed immediately upon settlement. Call your lender and ask if the tax escrow will be fully credited on the payout statement.